Live in the yurt from Midland, Michigan, The Little Fleet presents, Michigander. This is a very intimate show. There is limited space in the yurt. Michigander (aka Jason Singer) is an indie rock act (originally formed in Kalamazoo) that has been gaining a lot of momentum after the release of his debut single "Nineties". The song has been featured on official Spotify playlists including Indie All Stars, Viral Hits, and Indie 2017 accumulating over half a million plays since its release in 2016. Although the live show and recordings consist of a full band, Michigander at its core is a solo project that has been built by Jason Singer since 2014. 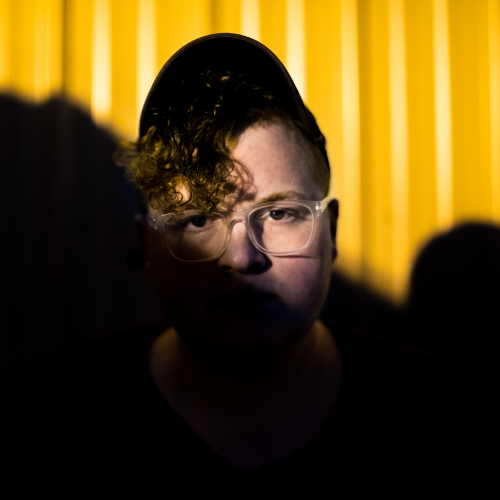 In April 2017 Michigander released a new single titled ‘Fears” which was premiered on DIY (UK) and featured on NPR’s World Cafe. Jason's latest single, 'Stolen' was featured on NME's New Music Monday. On top of single releases, Michigander has also recorded sessions with Audiotree, Daytrotter, and SoFar. In the past few years, he and the band have shared bills with acts such as; Ra Ra Riot, Tokyo Police Club, Twin Peaks, and JR JR. As well as playing festivals alongside alt-J, Solange, Foster The People , Run The Jewels and Two Door Cinema Club. Michigander has toured all over the country (including a trip to SXSW) and has become a staple in the midwest. In March 2018, Michigander released his debut EP titled “Midland”. The song Alice was premiered on NPR music.